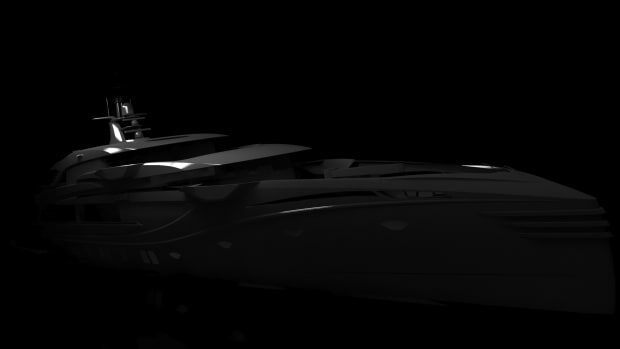 The Dutch shipyard's latest 45m fast aluminum motoryacht will be designed by Omega Architects and Van Oossanen. 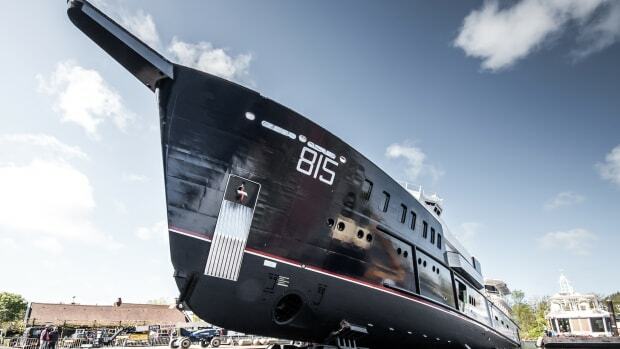 Dutch shipyard Hakvoort has confirmed a new order for a 45.2-meter fast aluminum motoryacht. 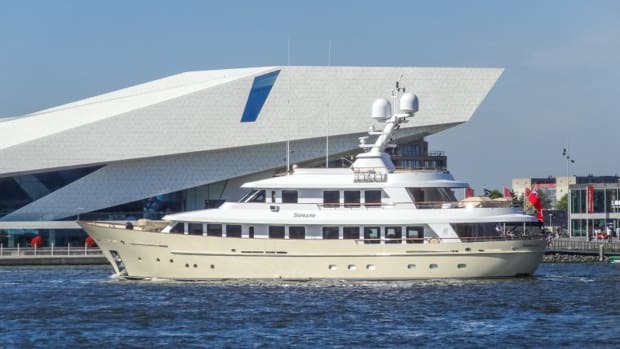 Exterior and interior design will be handled by Omega Architects, with naval architecture by Van Oossanen. The new project, known as Adur, will feature HullVane® technology, which improves seakeeping qualities as well as speed and range. 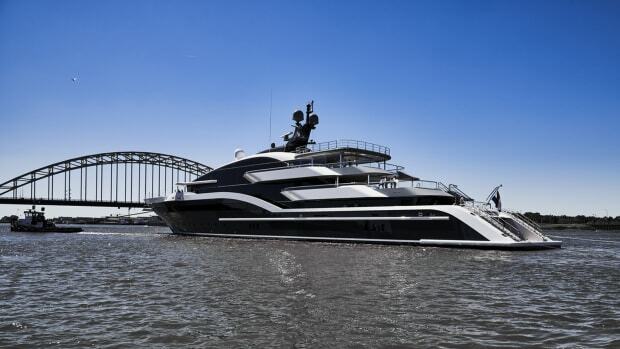 The owner, who is heavily involved in the design process, was introduced to Hakvoort by Ocean Independence, in the wake of a recent collaboration on the 38-meter canoe-stern motoryacht, Soprano, which delivered in 2017. Project Adur will have clean lines, a sturdy masculine exterior profile and other details introduced by the owner, such as scooped bulwarks with custom designed stainless handrails on each deck, which enable clear views to the sides from all decks with specific deck furniture designs, and removal of the rub rail to achieve a cleaner bulwark. 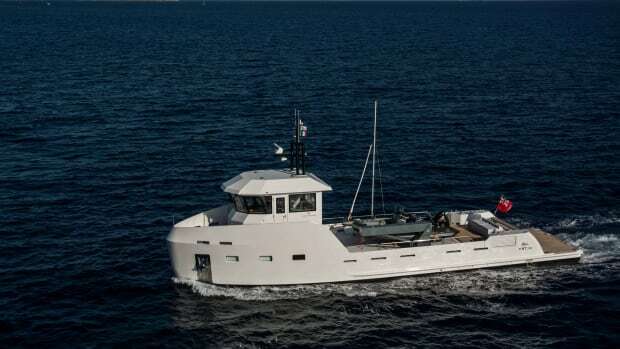 Below the waterline, Van Oossanen’s patented Fast Displacement Hull Form (FDHF) is combined with the Hull Vane®, an innovative patented "underwater-spoiler" placed below in the stern. The results include better fuel consumption and reduced motion at sea for improved onboard comfort. Project Adur is designed for efficient performance and reduced emissions, allowing her owners to also visit sensitive ecological areas. 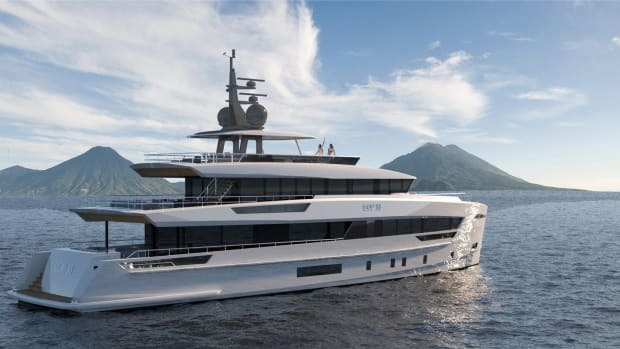 With her full aluminum fast displacement hull and Hull Vane spoiler, and powered by two 2580 kW MTU (type12V 4000 M93L) diesel engines and two electric booster engines, Adur will be faster than most yachts of her size and reach a top speed of 26.5 knots, according to the shipyard. 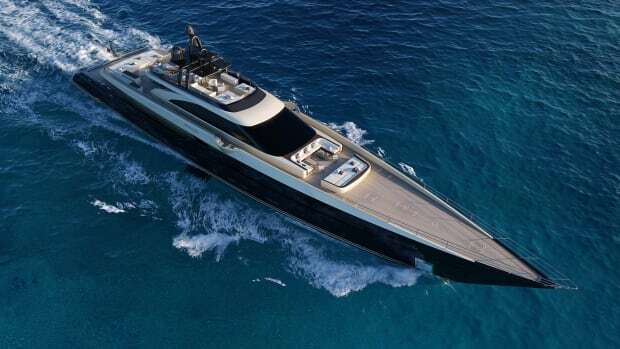 At a 12-knot cruising speed, she&apos;ll have transatlantic capability, with a range of 3,800 nautical miles. 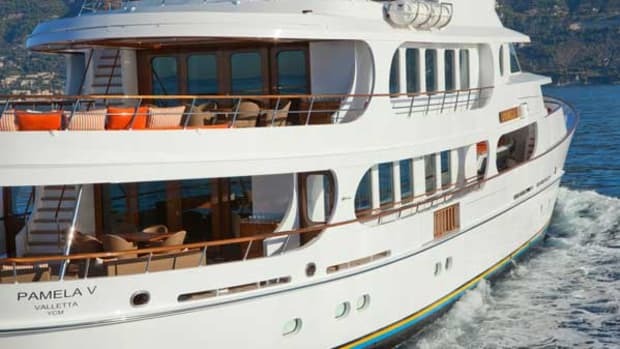 Onboard accommodations include a main deck owner’s suite with private office, in addition to three guest staterooms on the lower deck. Other notable features include a gym and a submarine. Her general arrangement suggests a side boarding tender garage, a dedicated lazarette and a dive shop behind a flush stern door. The bow garage will house a tender and a submarine, plus an enclosed anchor room forward in the bow. 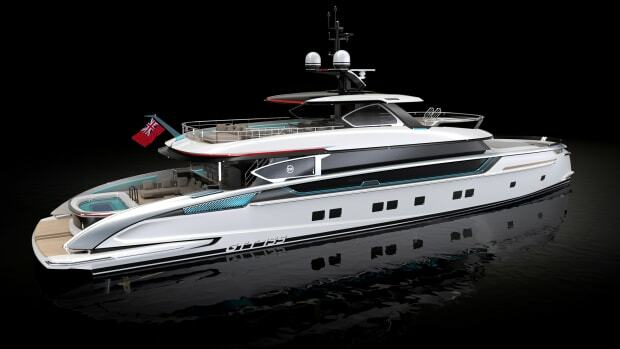 Interior features include floor-to-ceiling glazing, a special request by the owner, on both aft decks to create panoramic views from the main deck salon and the sky lounge, while allowing large amounts of natural light. The interior is contemporary and elegant with soft curves. Wraparound wooden see-through slats create a curtain effect, emphasizing the yacht’s waistline. Dark and light contrasts from sandy and off-white shades create a subtle contrast with the water colors outside, with bronze details delivering an essence of luxury. 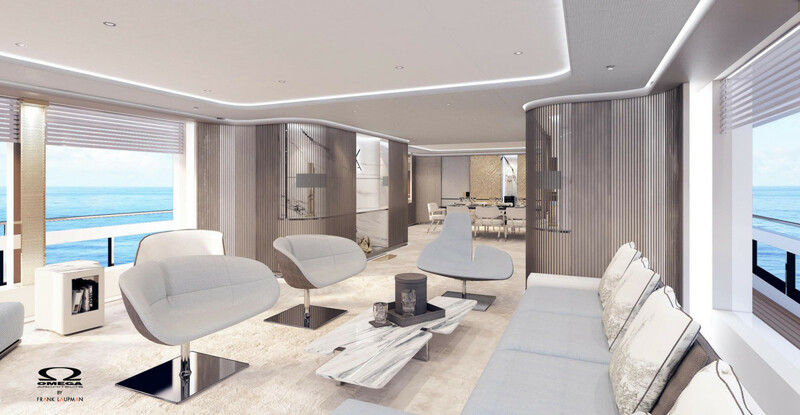 According to the shipyard, Project Adur&apos;s most eye-catching feature is the master stateroom design, which features a terrace with an extendable balcony, bringing the outside in and connecting the owner more closely to the water and surroundings. 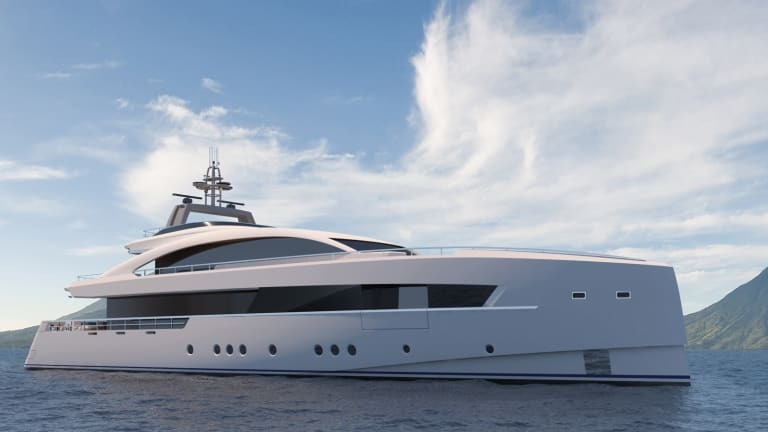 The yacht&apos;s ambiance will be peaceful and comfortable, intended for ultimate family relaxation.